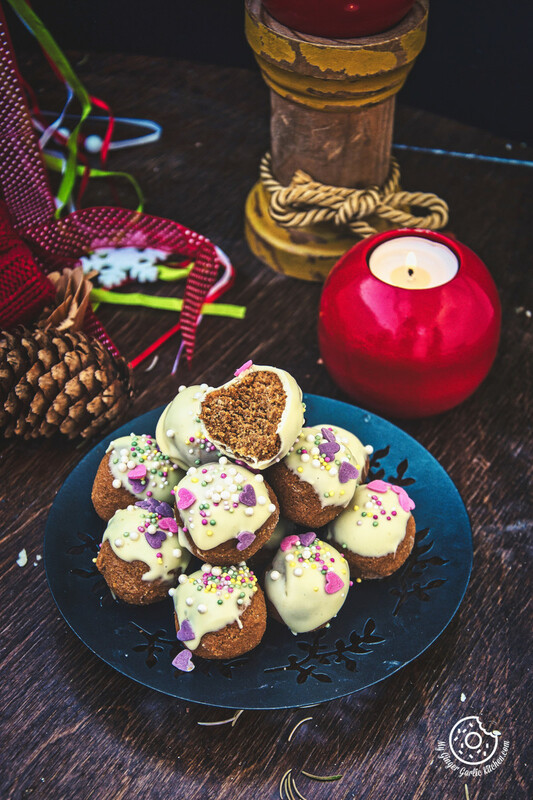 Learn to make Gingerbread Truffles Recipe with an easy video tutorial. 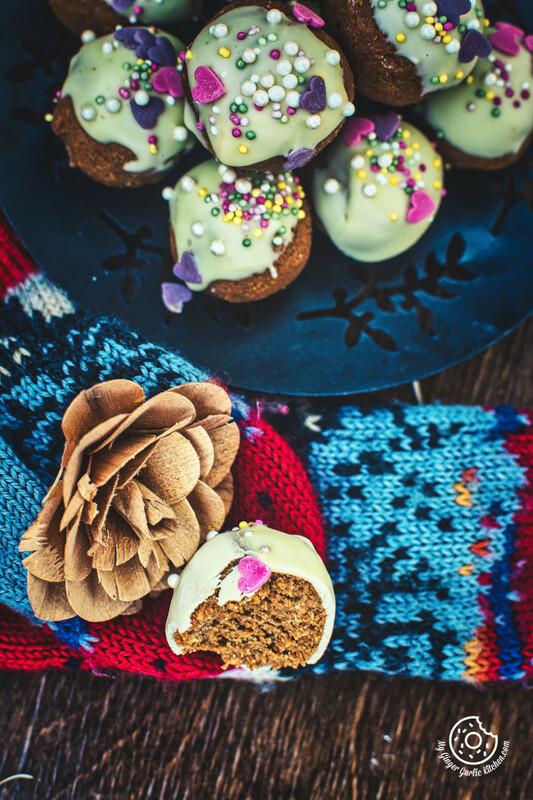 These 3-Ingredients No-Bake Gingerbread Truffles are perfect Christmas treats to make. You can eat them yourself with family or can treat your friends with them as gifts. They basically need only 3 ingredients: gingerbread cookies, vanilla sugar, and butter. The holiday season has begun and that means there are gonna be so much awesome stuff coming here. They would surely include desserts and baked goodies, and much more. 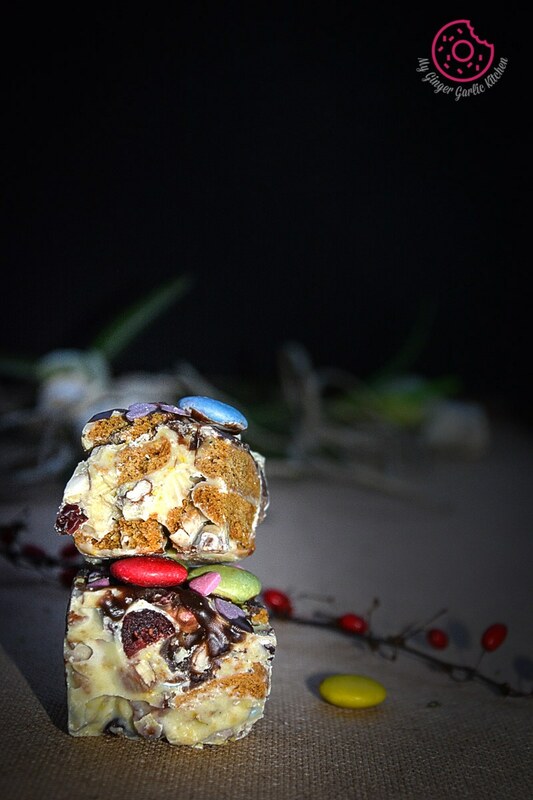 A celebration of the winter: To celebrate this season, I made some super delicious, easy and festive treat. I made 3-ingredients Gingerbread Truffles, which are no-bake, and can be ready in no time and can be gobbled up in just a few seconds. 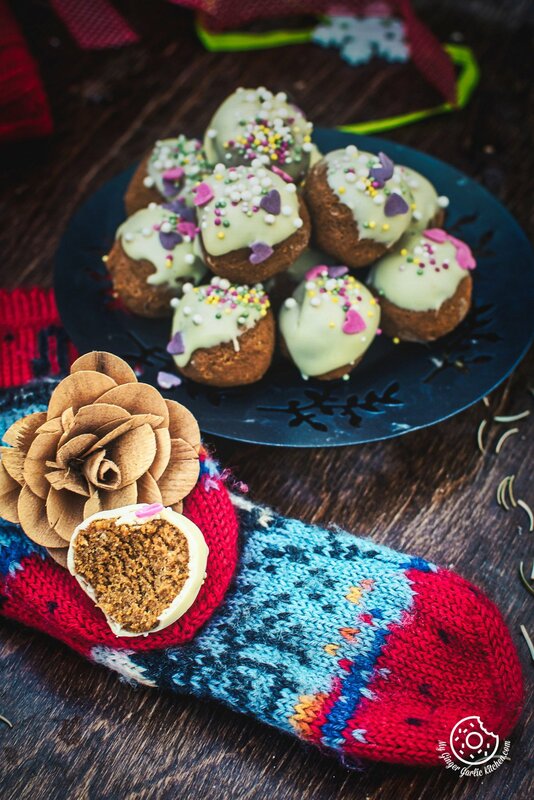 Ado is just adoring them to the core because these truffles are so full of her favorite thing — gingerbread cookies. Yeah, she is loving everything gingerbread these days. 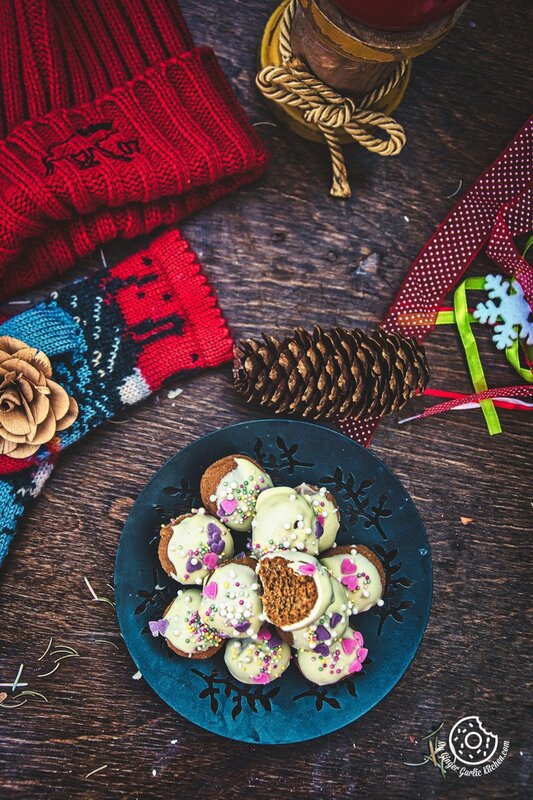 December is all about the cookies. 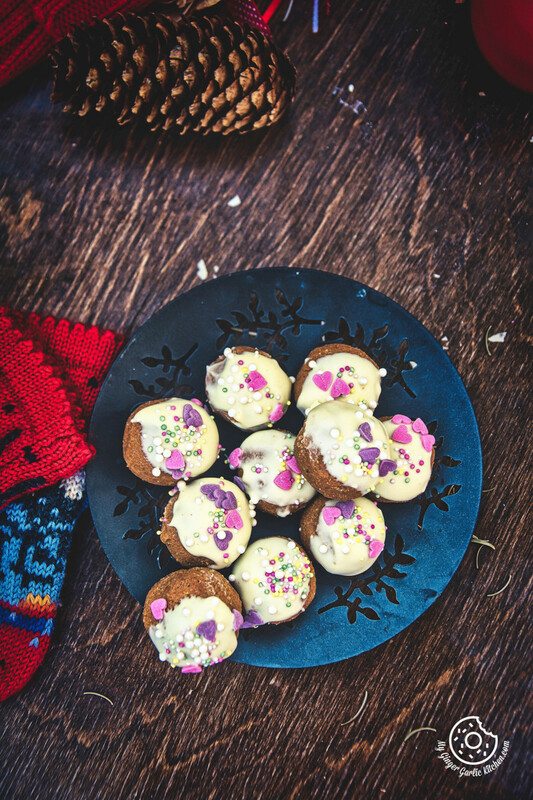 Gingerbread cookies are everywhere, I must say that not only Ado but even I love them too. Gingerbread cookies are the best. Ain’t they? I am just so thrilled to share all of my favorite recipes with you this season, but my ‘drafts’ folder is requiring all my attention. It’s because it is flooded with so many unedited video recipes, so I must edit and share them first. My cooking speed is much higher than editing and sharing speed. 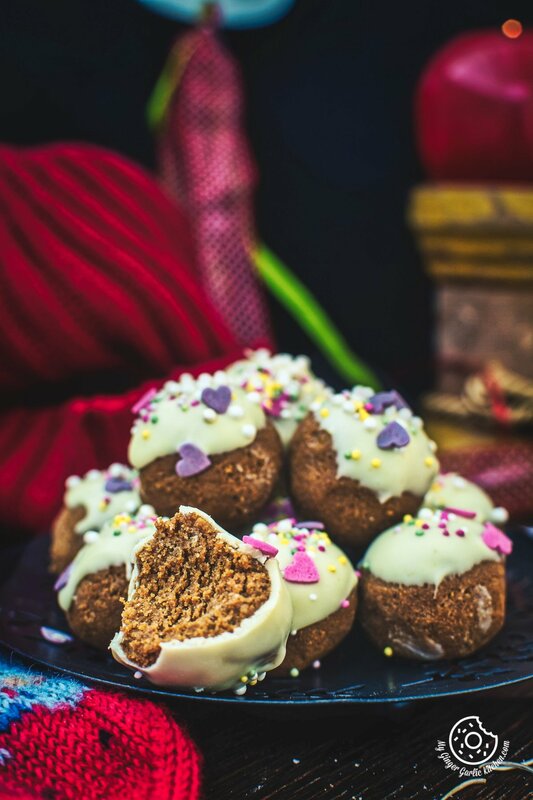 You won’t believe that I still have a couple of recipes left which I made for Diwali but couldn’t share them on time. So I don’t know if I would be able to share them at all before Christmas. However, I am hopeful. A question: Does ‘cooking more and sharing less’ thing happen to you as well, or I am the only one here suffering from this? If any of you are sailing in the same boat, then do you have any solution? I would love to know. Gingerbread Truffles Make Great Holiday Gift! 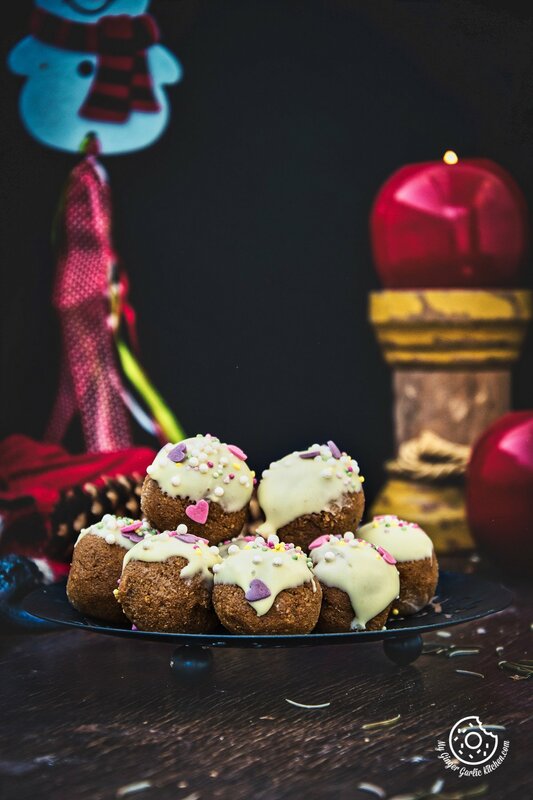 These Chocolate coated Gingerbread Truffles are perfect Christmas treats to make. You can eat them yourself with family or can treat your friends with them as gifts. They basically need only 3 ingredients: gingerbread cookies, vanilla sugar, and butter. 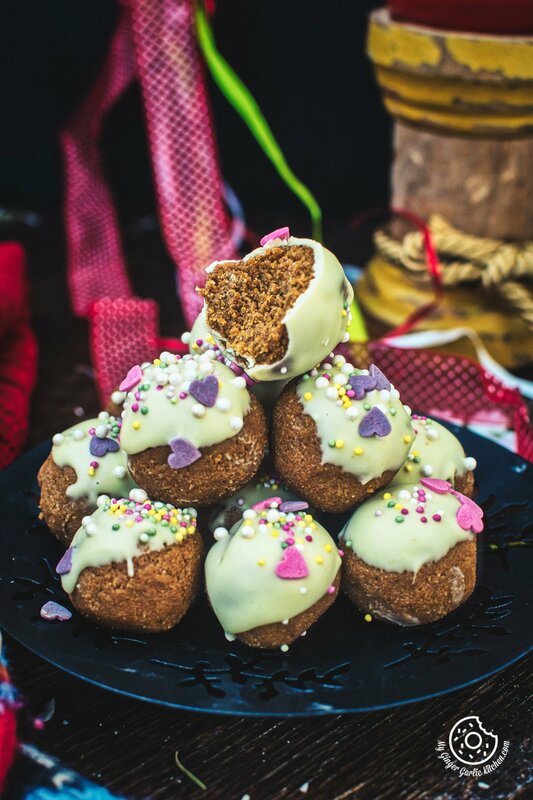 If you want to make gingerbread truffles look a little more festive, or maybe you want to make them fancier, then you’ll also need white chocolate and some sprinkles for decoration. 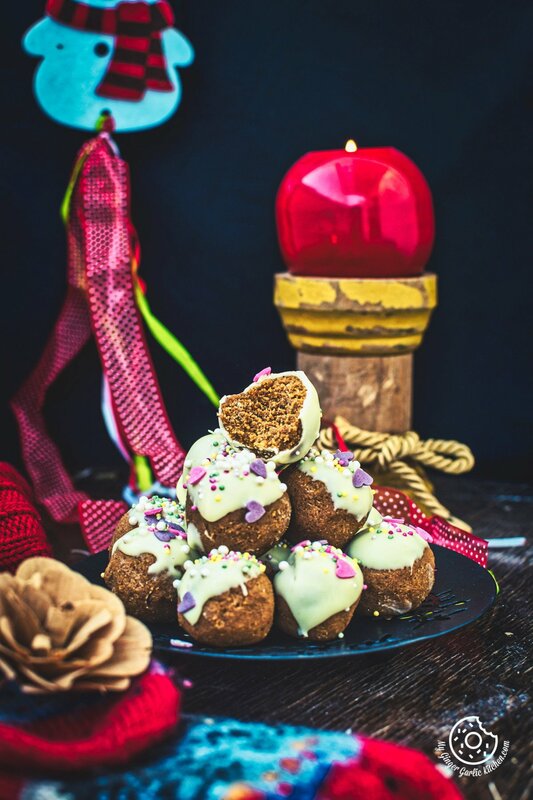 These 3-Ingredients No Bake Gingerbread Truffles are perfect Christmas treats to make. You can eat them yourself with family or can treat your friends with them as gifts. They basically need only 3 ingredients: gingerbread cookies, vanilla sugar, and butter. 1. 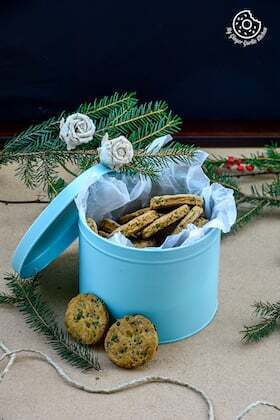 Use a grinder or food processor to process your cookies until they become very fine crumbs. 2. Add in butter and vanilla sugar and process again. 3. The dough should be moist enough to hold together when you press it into a ball. 4. Using a melon baller or a tablespoon, shape the dough into 1-­inch balls and place onto a plate. 5. Melt white chocolate in a microwave on for 2-3 mins stirring after each minute until smooth. Alternatively, melt white chocolate slowly in a double boiler. 6. Dip lower half of each truffle into chocolate mixture; allow excess to drip back into the bowl. You can also coat them in chocolate fully. 7. Place the coated truffles onto a plate or a cookie sheet. 9. Allow truffles to rest refrigerate for 15 minutes, or until the chocolate has set. Enjoy.